Happy Birthday Roma! 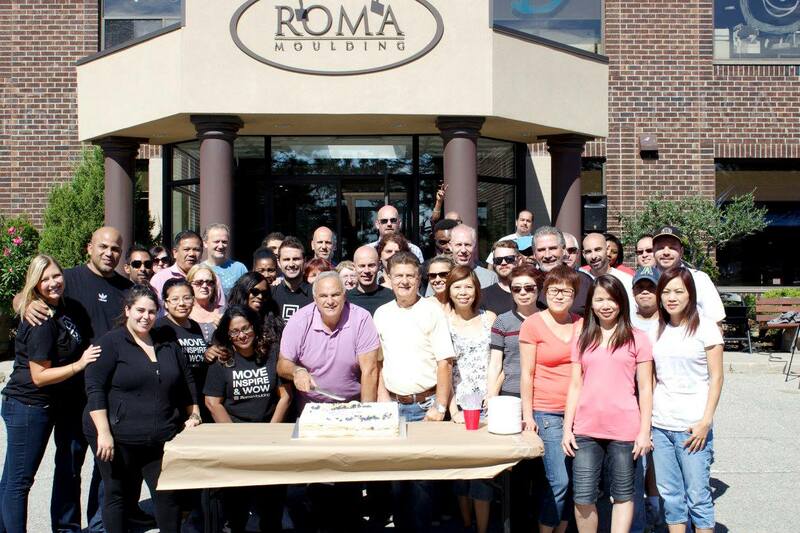 The Roma Moulding Team celebrated the company’s 31st birthday on Friday, September 25, 2015. Team members across North America took part in the fun and festivities, with an epic birthday party at Roma’s headquarters in Vaughan, Ontario. Roma Moulding is an award-winning handcrafted Italian framing company on a mission to create the world’s happiest workplace. Our frames adorn the halls of amazing places such as the Bellagio Hotel, the Angus Glen Golf Club, and the Augusta National Golf Club. But what truly sets Roma Moulding apart is our epic company culture. We’re a collection of passionate people spread across North America dedicated to shaking up our industry, and even though we’re a 30-year-old established brand, we operate with a start-up mentality and are continually pushing the status quo. Our mission is simple; we aim to Move, Inspire & WOW! Check out the photos of the event here, and view the video below!